Metalcore faves Between the Buried and Me recently wrapped a tour that took their conceptual Parallax project to stages across North America, but the group have now announced a 2014 trek that will roll over some markets they missed in the fall. The act start up their next tour down in West Springfield, PA, on February 20. While most of these dates are U.S.-based, a short stretch of shows on our side of the border are set to go down in Montreal, Quebec City, Toronto and London. 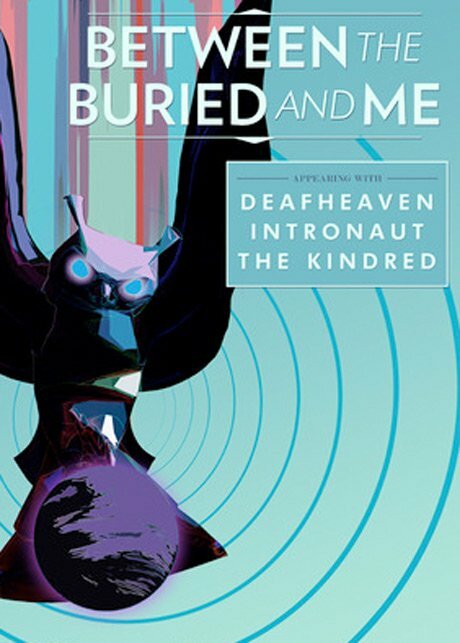 While Between the Buried and Me will be headlining the tour, other acts popping up each night include American Black Metal experimenters Deafheaven, as well as Intronaut and the Kindred. You'll find all the show info at the bottom of the page. As previously reported, Between the Buried and Me's Parallax project began with their 2011 EP The Parallax: Hypersleep Dialogues and was followed up by the ambitious The Parallax II: Future Sequence in 2012. Keyboardist/singer Tommy Rogers had previously explained in a statement that Parallax is "a conceptual journey that takes the listener to worlds that seem familiar and worlds that make you scratch your head."